MUMBAI: Where does one get job-ready entry-level talent? That's a question that has been bothering companies across industries now. The issue assumes significance as companies are spending more time on training entry-level talent to make them job ready. At times, even after three-six months of training, skill gaps have been noted. In a country where graduates are passing out in greater numbers each year, companies say this has nothing to do with the numbers , but skill-sets . While this has been more pronounced in sectors like IT, specialized sectors such as pharmaceuticals have also started facing a dearth of talent even as they chalk out their expansion plans. The situation has sprung up an opportunity for a new set of entrepreneurs to train students in specific skill-sets while they are still in college. However, with no real solution in sight, companies are left with no option but to invest large sums in training. Pharma company LupinBSE -0.28 % spends Rs 25,000 on every employee, while Hexaware TechnologiesBSE -1.60 % spends Rs 30,000 per head every year. "All good pharmaceutical companies are growing, so there is a big need for talent in this industry. Most large companies are in expansion mode and are setting up new plants. Being a research-intensive industry , there is a need for more technically skilled and knowledge workers. India does not have a shortage of people. But there is an acute shortage of good, employable and industry-ready people," said Divakar Kaza, president, human resources, Lupin. Pharma companies historically have hired people from science and pharmacy backgrounds and less of engineers. On the supply side, the universities churn out a large number of graduates and post graduates in science and pharmacy but very few of them are employable. "While the absolute numbers look encouraging , industry-ready candidates with the required life skills and technical competence are very low. Therefore, companies end up investing heavily in technical training and life skills centers... almost like parallel universities to make already educated people industry ready," said Kaza. Lupin hires around 2,000 freshers every year in domestic sales, manufacturing and research. Every year, a 1,000 people go through a training programme for two weeks at its residential training centre in Lonavala. The programme lasts for two weeks and is mandatory for every new recruit before they get on to their jobs. The training in Lonavala is followed up by another two-three weeks of on-the-job training at the manufacturing plants. "We spend Rs 25,000 on every employee, almost equivalent to a fresher's two months salary ," said Kaza. The IT industry faces a similar problem. Hexaware Technologies runs a twomonth foundation training programme (FTP) for freshers . The first month involves training in certain basic software skills, while the second month has a specific training programme. "We spend Rs 30,000 per head every year," said Deependra Chumble, chief people officer of the company, which inducted 800 odd freshers in 2011. Chumble said the company engages with colleges on the kind of curriculum that is required to be introduced to ensure students are job-ready when they pass out, but experts believe the problem is larger than that. PurpleLeap, a Pearson EducompBSE 3.20 % Company, which specializes in providing 'ready to deploy' entry-level talent to the IT industry in particular , works within college premises to train students with specific skills to enhance their employability. "Even in a bad year, IT companies are talking about hiring in large numbers. But there are deficits in skill gaps. At one of our clients, even nine months of training was not enough to bridge the gap in skills. Fresh hiring has grown nearly three times for the IT industry. Five years ago, companies used to hire from the top 10 institutes. Where are the additional employable people going to come from? With growing demand for people, companies have no choice now but to dip deeper into the source of talent pool. From 90 percentiles, companies are now hiring 70 percentiles. That's where the problem arises in skill gaps," said Amit Bansal, CEO, PurpleLeap . Besides the curriculum, experts also believe that the problem lies in the manner in which internships are framed. "We need to have longer internships during an MBA. We currently have 1.5-2 months' summer internship, while in European business schools it's longer at about two sixmonth internships. 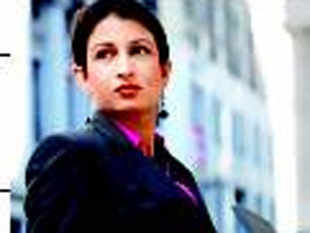 Another thing that needs to change is that Indian business schools are driven more by theory and real life is very different," said Tulika Tripathi, managing director , Michael Page in India, a specialist recruitment firm. Tripathi believes companies should invest more on providing live projects to MBA students, where currently little attention is paid to career management. Students' lack of technical competence at entry level negates advantage of huge numbers of grads churned out by varsities Cos are forced to set up parallel universities to make already educated youth 'industry-ready ' Most affected sectors include pharma, IT where recruits have to go through mandatory in-house training modules With skill gaps appearing even after 3-6 months of training, entrepreneurs offer to train college students in specific skill-sets.